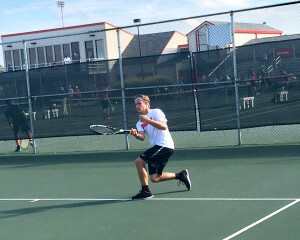 The Dragons No 1 doubles team of Nick Rusche and Colby Wagoner played against Hamilton Southeastern Royals No 1 doubles pairing of Andrew Myers and Mark Slaninka in an exciting match Wednesday in the IHSAA individual regional. 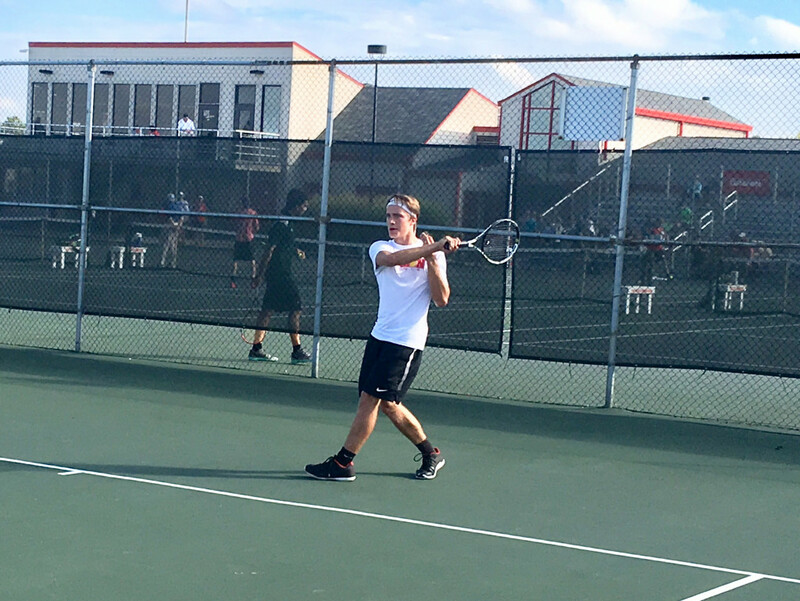 The Royals dominated the first set by controlling the net exchanges and took it 6-1. Rusche and Wagoner fought back and broke serve early to lead 4-1 in the second set. It looked as though the Dragons would extend the match to a third set. 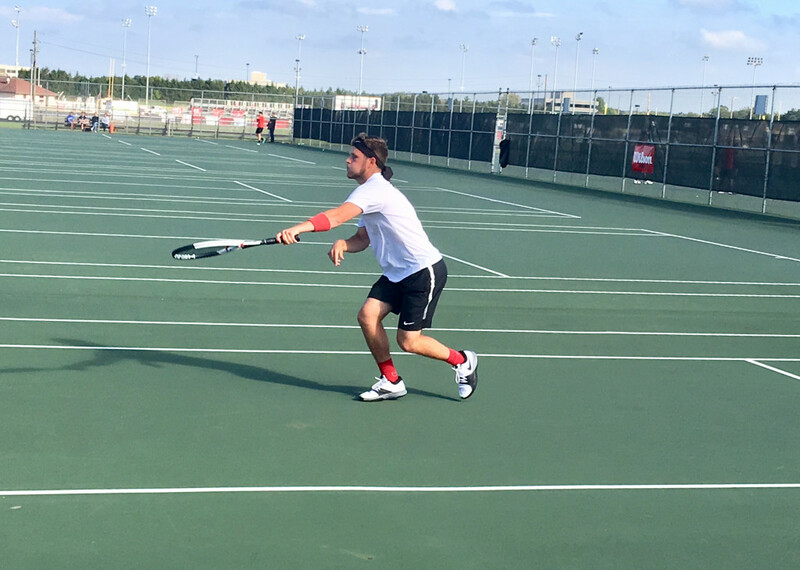 HSE’s Myers produced a number of brilliant reflex volleys and deft lobs to level at 5 games all – after Wagoner had served for the set at 5-4. 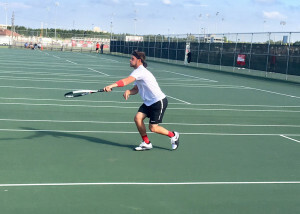 Myers and Slaninka kept their composure and closed out the match to win 6-1, 7-5. 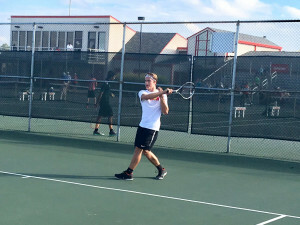 The Dragon tennis season concludes with a 19-5 record, the program’s sixth straight sectional championship, as well as the first HHC title since 2010 and a Hancock County championship.